A beautiful disused Scots building is set to be given a brand new lease of life. 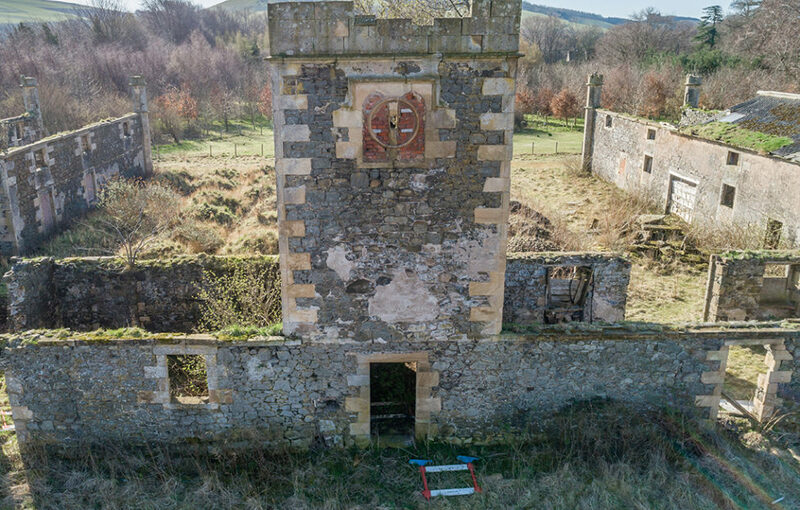 The Good House Company is preserving a slice of Fife’s rich history with its much-anticipated conversion of Inchrye Steadings near Lindores. 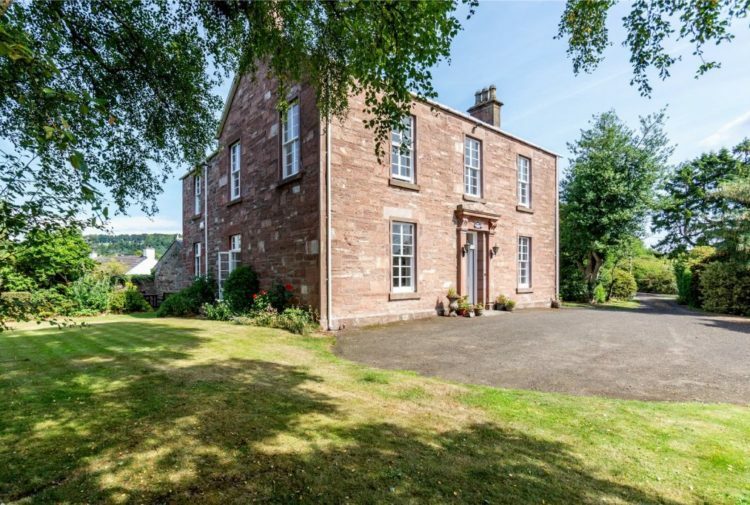 With its striking clock tower, turrets and castellated dovecot, Inchrye Steadings have been a familiar sight on the Fife landscape near Lindores for almost 200 years. 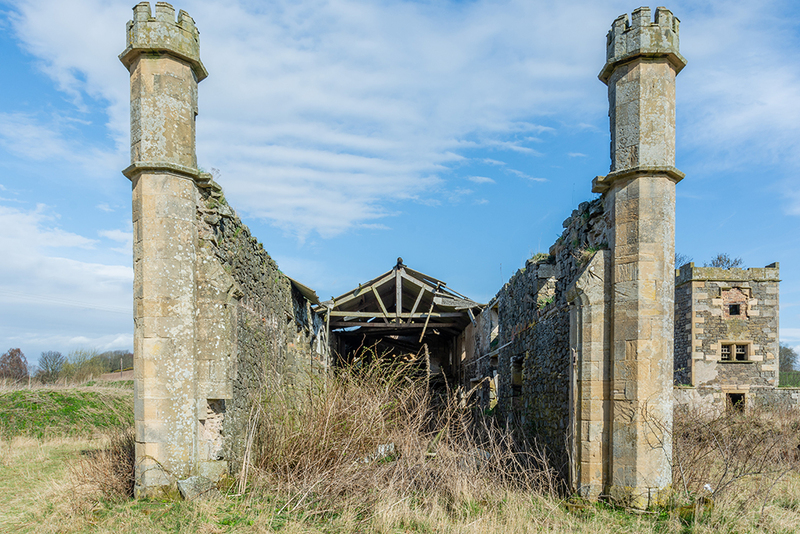 But the ravages of time have left their mark on the largely roofless landmark which once belonged to Inchrye Priory, a Georgian Gothic revival house built in 1827 and demolished in the 1960s. 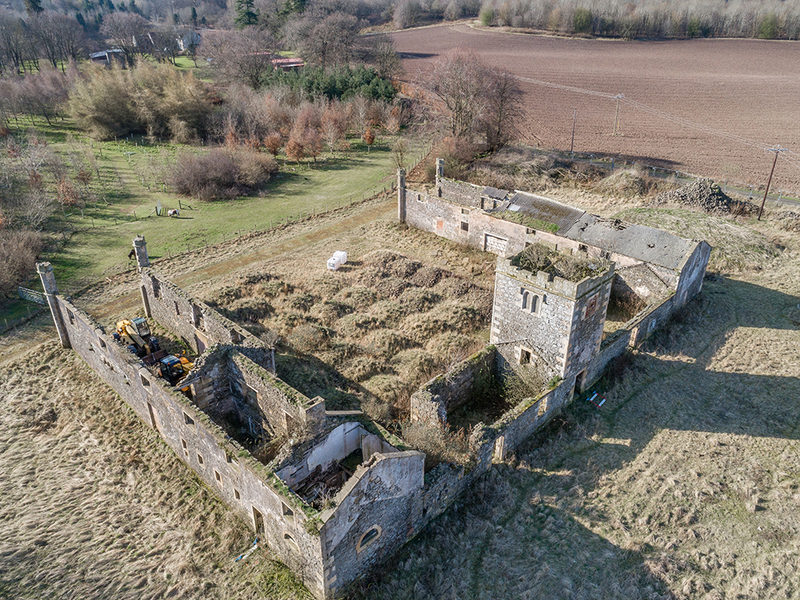 However, the 19th Century B-Listed building is being saved for future generations thanks to a sympathetic conversion project by one of Scotland’s leading eco developers. The Good House Company is in the process of creating four substantial steadings homes within the U-shaped property. Preserving its many fine architectural features, each home will incorporate an unique part of the old building, from exposed stone work, octagonal turrets, kennels, clock tower and a horse mill. 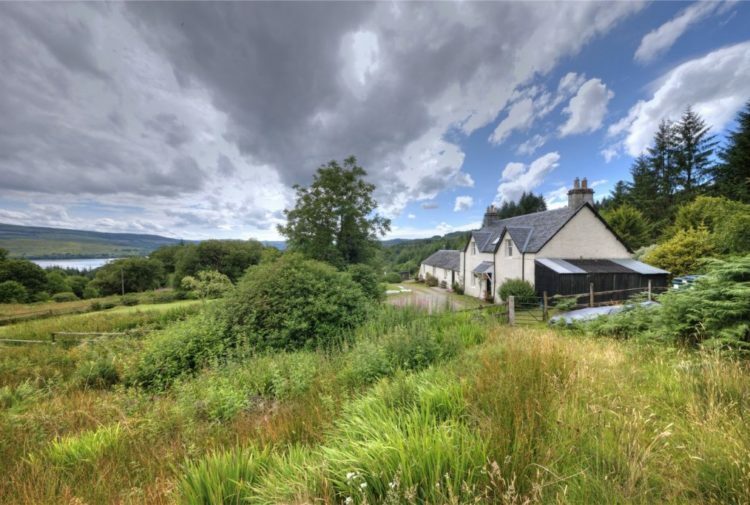 Inchrye’s historic credentials are boosted further by its proximity to Lindores. Not only was William Wallace’s famous victory over Aymer de Valence at the Battle of Irnsyde fought close by, but traces of an ancient castle, thought to have belonged to Macduff, Thane of Fife, have been found at the eastern end of the village. Modern visitors also flock to see Lindores’ famous 3rd Century Pictish stone which once stood on a nearby ridge but now resides in the church yard. Neighbouring Lindores Abbey Distillery also claims to be the oldest distillery in the world. The first written reference to whisky being produced in Scotland relates to Lindores Abbey. The Exchequer Rolls of 1494 lists that, by order of King James IV, ‘eight bols malt’ be presented to Tironensian monk Friar John Cor to produce ‘aqua vitae’ – the water of life. It is thought that Friar Cor lived in Lindores, and the Abbey has become known as the ‘spiritual home of Scotch whisky’. Inchrye is the latest in a series of highly sought-after developments designed and built by Kinross-shire based eco-developer The Good House Company. 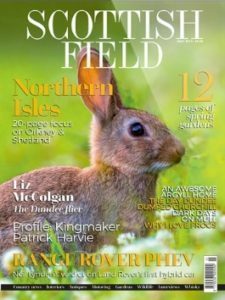 Established in 2006, the company has become synonymous with quality in terms of finish and design, with previous developments at Mains of Mawcarse, Newton of Classlochie, Flockhouse Mains and Flockhouse Steadings selling out within weeks of release. All Inchrye properties will be built to the same high standards and offer the bespoke features and efficiencies you would expect from The Good House Company. The architecture reflects its rural setting, with slate roofs, locally sourced stonework and private gardens creating a traditional countryside ambience, yet the homes incorporate all the contemporary features needed for optimum comfort and convenience. These include wood burning stoves, underfloor heating and triple glazed windows which ‘lock in’ heat and promote solar gain. Solid oak flooring and a choice of Alan Johnston Studios fitted kitchen and utility room (with NEFF appliances) are part of the specification at Inchrye, which also boasts a security alarm and concealed Sonos surround sound system to the main living room. Inchrye is being marketed by Bell Ingram Land and Estate Agents with prices from £369,000. First entry dates will be available from late Spring. 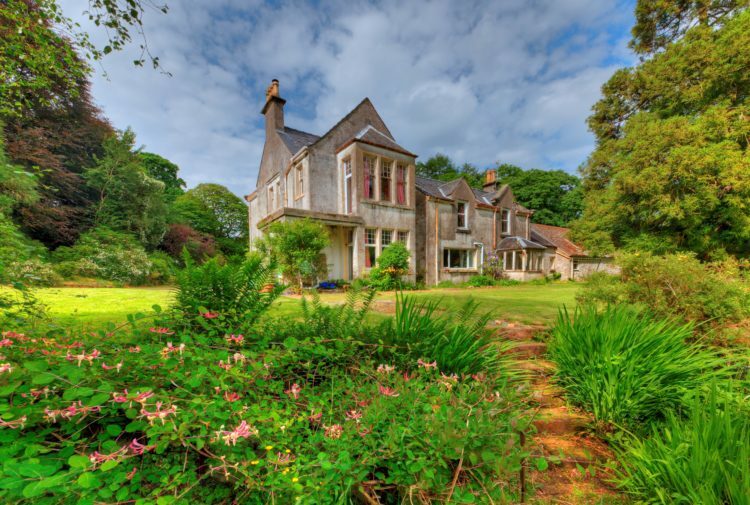 Inchrye is 12 miles off the M90 and within commuting distance of Edinburgh, Dundee and Perth. It is also ideally placed for St Andrews and the East Neuk of Fife.